Since 2016 Rosemarie Zimbelman has been an Arizona Milk Producers Board Member. 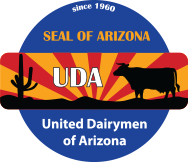 The board oversees the marketing of milk and dairy products made by Arizona Dairy Farms. As a working mom, consumer, and dairy farmer Rosemarie has a different perspective to add to the board. She also believes her connections on social media are beneficial as she is able to answer questions and keep her connection to 'city life'. 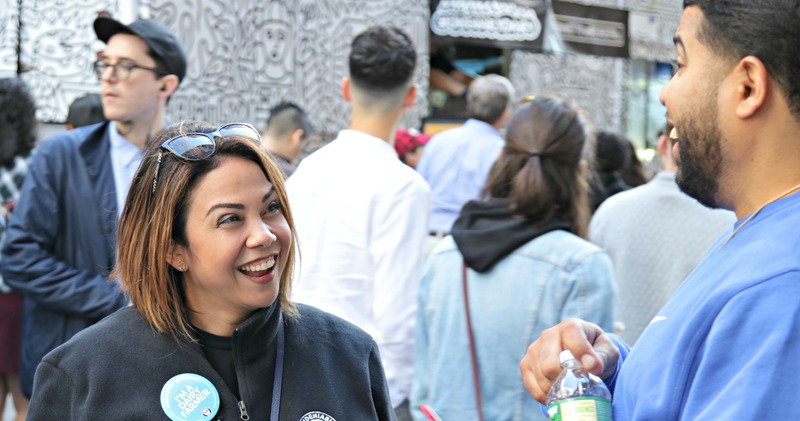 In October, she ventured out on the streets of New York to connect with consumers on the Today Show and at the Grand Central Food Festival. The Undeniably Dairy Food Truck was on scene handing out grilled cheese and chocolate milks to attendees. "You could see the delight in people's eyes when they took a bite of their grilled cheese." Said Rosemarie "It was fun to watch all day." 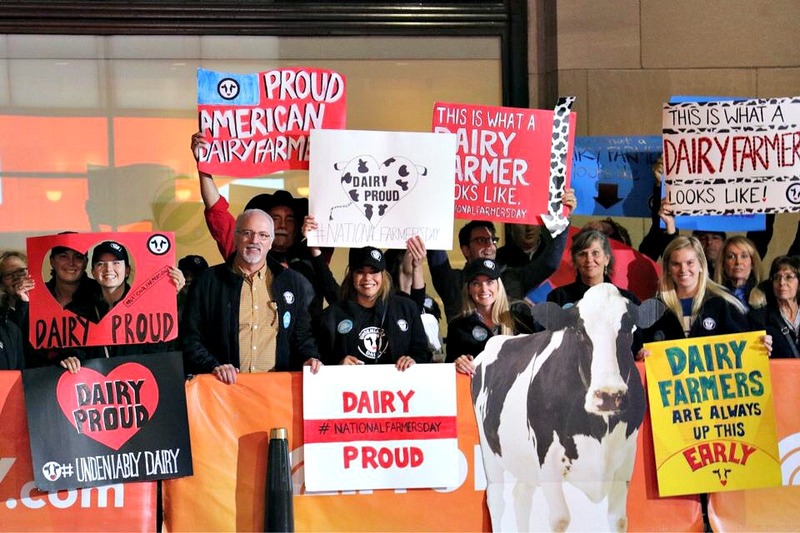 Rosemarie, along with farmers from across the U.S., spent time with consumers who came into the Undeniably Dairy Experience. With amazing photo opps like a life-sized grilled cheese, chocolate milk, and connect four, attendees had a great time connecting with the dairy farmers and dairy foods. At the end of the day, over 10,000 grilled cheese and chocolate milks were given out. One every 11 seconds! After two very long days, Rosemarie was very impressed with the amount of time and effort that it took to put that event together. "The DMI team really is hard at work for us. 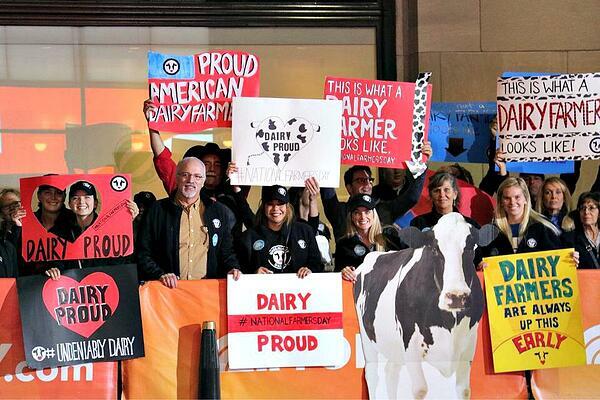 They set up, tear down, made signs and went out of their way to make the experience easy for the farmers."